9:15pmET: I thought the Kelvin Benjamin deal might open up a spot for Bucky Hodges to get elevated in Carolina. Oh, he had a roster change...the Panthers cut him to add Evan Baylis. There must be something about Bucky off the field because his NFL Draft to the Pros process has made no sense to me. I never sensed it in my studies but I don't know what investigators may have found or what being with him in the locker room is like. What main players were traded the last 24 hours...Kelvin Benjamin, Jay Ajayi, Duane Brown, CB Rashard Robinson, Jimmy Garoppolo. We know why Garoppolo had to be traded. What do the other four players have in common? Besides 'shock' trade and 'for almost nothing'? Players with attitude issues. The league is very slowly becoming a 'what's his character?' league for scouting on top of the 40-time, etc. Tried to trade and not traded...delightful humans -- Martavis Bryant. Josh Gordon. Kelvin Benjamin joins a Buffalo team that has a hard time passing the ball...because of Tyrod not the WRs. I'm sure KB will get some TDs but his receptions and yards will stay down, as they have been. Benjamin is a knucklehead...Buffalo is renting him. McDermott runs a tighter ship. Jay Ajayi is the worst. Overrated talent. Terrible teammate. The Eagles are renting him, why...I have no idea. They have a ton of RBs already. Duane Brown to Seattle is a HUGE game changer. That's taking Seattle from fake-good to more of a threat to go deep in the playoffs. I still think they have a ton of issues that will haunt them to the end. But this move is huge. More on Garoppolo in the SF-PHI recap. *With Indy working out QBs this week...it's all but a 100% sign that Andrew Luck is done for 2017. 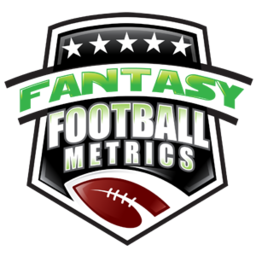 Week 9 Projections will post somewhere between 530-8pm. Halloween has timelines mess up today. More on what Jimmy Garoppolo to the 49ers means long-term in the PHI-SF recap planned for today. 12:25pmET: Later tonight...I'm going to release two deeper sleeper ideas to you in honor of Halloween...my treat to those in deeper roster leagues. Two concepts so brilliant they're bound not to work, but sound really good! You're going to love the thinking on them. Trust me. They weren't immanent enough to put on the top 5 report and I needed more space to explain. You'll see why they are not immanent/act today when I explain, but I need them in the back of your mind + dynasty/deep roster people need to consider making the moves now at low prices because once I say it...it will magically appear on ESPN this week/end or the next, etc. One of them is a little more immanent than the other. The trade deadline may mess one of them up by a player getting traded to mess things up. Feel free to guess. You'll never guess them. This is my Trick or Treat to you! 12:08pmET: Dallas is insane if they don't trade for Jamaal Charles. 12:00pmET: I've input all the data into the Handicapping program and there is only one game we have a huge variance on -- the Rams over NYG...a gift with LAR -3.5. The Rams/2017 are like the Cowboys/2016...no one believed it and Dallas kept winning and covering spreads well past Week 10 before Vegas and public changed. Take the gift this week. The only other game The Computer likes somewhat is Arizona -2.0 over the 49ers. The Computer doesn't love Arizona the team or Drew Stanton but have you seen the 49ers injury report...they are losing everybody. Arizona must win situation and the 49ers not really in a position to win. If Garoppolo was thrown in as a starter it would make this confusing but I don't see that happening at all. No reason for SF to rush. **So much happening due to the trade deadline...going to be a crazy day. -- Jay Ajayi traded...which means I need to re-write my 'guys to trade' this week because Ajayi was on there again -- a last gasp to wrench any value out of him before he disappeared from the NFL, in a sense. Miami is the smart one -- they dumped him for basically nothing...because they know he's a limited back with a degenerative knee and an off-field issue. I have no idea what the Eagles were thinking. A good team messing with their chemistry. Everyone is going to rush into Kenyan Drake, and I get that -- I'd try to get him to trade him. The Miami offense is a disaster. Damien Williams is the better all-around back. Drake will have a hot game and everyone will go nuts and then he'll disappear. I'm a bettor against Drake...which means he'll have a 250+ yard/4 TD game this week. -- Alfred Morris has been named #1 RB. I'm waiting to see who the Cowboys pull in a trade today to change that landscape. -- Jimmy Garoppolo to the 49ers...now, I have to re-write/change our Dynasty Stash list. Here's the draft I wrote in the past week on what was going to be a top 5 Stash prospect (I just didn't believe the Patriots would trade him in-season for his value as a backup/insurance policy). 1: If Garoppolo re-signs with the Patriots, like as a franchise tag player…it means the Patriots see him taking over in 2019. You’re a year away from Brady 2.0 in New England. 2: If Tom Brady gets hurt today, like a torn something-serious…maybe he never returns in part because Garoppolo fills in and takes the offense to new places, and Belichick has to make a business decision for 2018. 3: The Patriots decide to let Garoppolo walk…then he’s going to sign somewhere to be the instant starter. The problem with this is there are not many obvious places he can go start that are worthwhile. I mean, do you want him in Cleveland with Hue Jackson? San Fran, Washington, and maybe the Giants are his narrow hopes. The Pats would never trade him in division or to an AFC rival like Denver or Baltimore. If he goes to Jacksonville, he just hands the ball off in a teal uniform…not much fantasy magic. The potential that Garoppolo becomes the New England starter in either 2017 late or 2018 is worth everything to this gamble. I guess 'traded to SF' should have been on the list. I suspect Garoppolo will sit for a few weeks -- there is no reason to rush him into the lineup with a battered O-Line, an 0-8 team, and he doesn't know the playbook, etc. He may not even play this season but I bet 100% he doesn't play Week 9 or 10 before their Week 11 BYE. If he plays Week 11 on...SEA, at CHI, at HOU, TEN, JAX...not a great schedule with not a great team. In regular redraft leagues, you wait. In dynasty leagues, deeper roster leagues, etc. -- you want to go all-in on Garoppolo for the future with Kyle Shanahan. This was a brilliant trade by the 49ers. The NFC West is going to be a powerhouse in 1-2 years...and then also has failing Arizona as the punching bag.